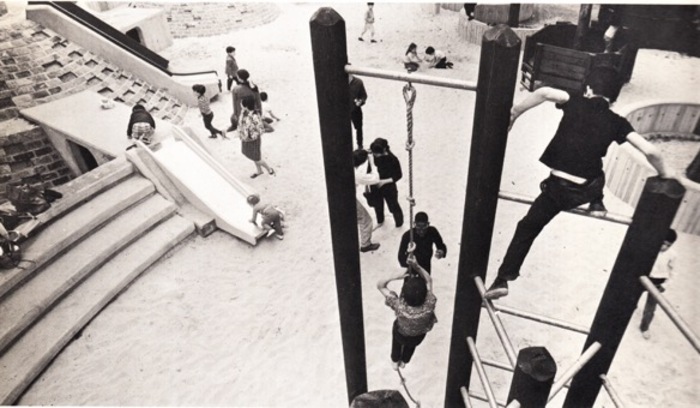 Richard Dattner, 67th Street Adventure Playground, 1967, New York. Courtesy of the architect. 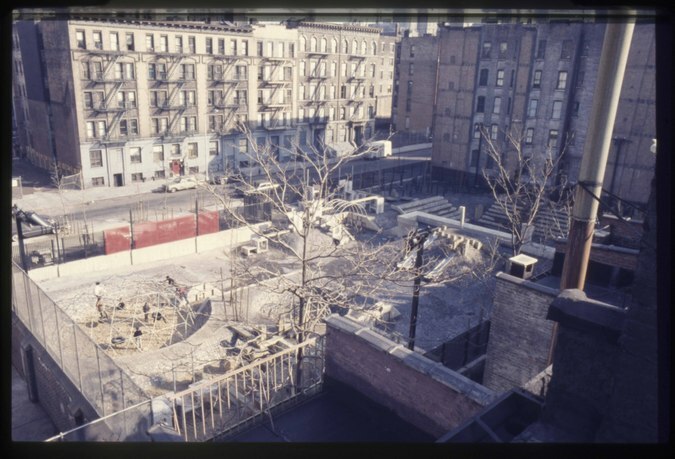 In New York during the 1960s and 1970s, architect Richard Dattner and landscape architect Paul Friedberg became the Young Turks of radical urban playground design, a professional discipline that didn't exist until they somewhat inadvertently invented it. 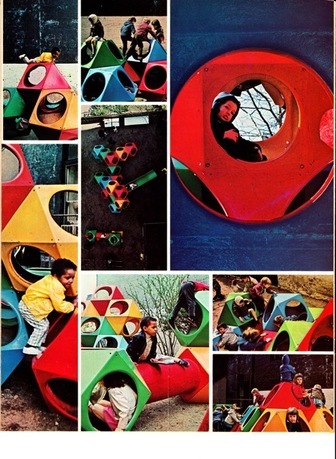 Bold, abstract, geometric, unapologetically monumental, the new sculptural playscapes were utopian manifestos and everything the dull and instantly outmoded WPA playgrounds of the Robert Moses-era were not. 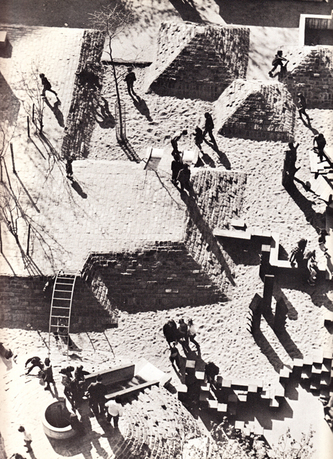 Inspired by free-form adventure playground experiments of postwar Europe, as well as the unrealized sculptural landforms of Isamu Noguchi, for a brief, golden moment, the rebels of New York would overturn the establishment and create idealistic and socially empowering models for urban public space. 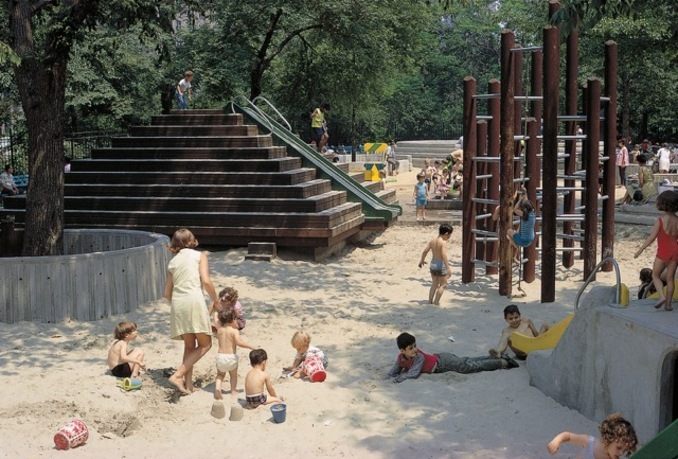 Today, few New Yorkers are aware of the grand play revolution that once took hold in their midst. 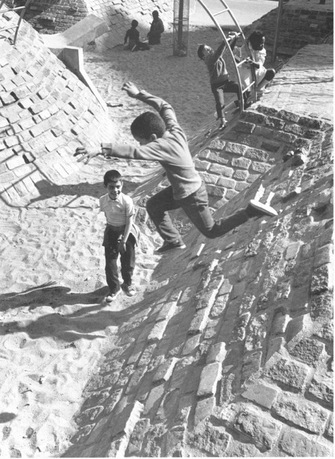 But these pioneering experiments now stand as groundbreaking models for contemporary designers seeking to put adventure and creative challenge back into urban play. James Trainor writes about art, architecture, landscape, urbanism, and contemporary culture. His articles on topics, including the ecological costs of publishing an art magazine, a forgotten Land Art site in the wilds of northern Maine, art tourism and the American West, and the quixotic quest for the "Center of the World" have appeared in Frieze (where he was US editor and staff writer from 2004 to 2009), Artforum, Artsy, Art in America, Cabinet, Art Asia Pacific, BOMB, Border Crossings, and other periodicals. He regularly teaches numerous experiential field seminars, including the Institute of Investigative Living (IoIL) at A-Z West in Joshua Tree, CA ,with artist Andrea Zittel (2010–present). He has lectured at Columbia University; Cornell University; University of Southern California, Los Angeles; Bezalel Academy of Art, Tel Aviv; City College of New York; and Mildred's Lane. In 2015, Trainor was awarded an Arts Writers Grant from Creative Capital and the Andy Warhol Foundation for the Visual Arts. He was also the recipient of a writing fellowship at the MacDowell Colony for the Fall/Winter 2015–16 session. He lives in New York City.